There is an alarming tendency today to assume that something calculated by a computer must be correct, yet the phrase 'garbage in, garbage out' (gigo) is possibly nowhere more (generally) appropriate than in computer modelling of cohesive sediment behaviour. The behaviour of 'mud' is highly complex and one only needs to look at a sample under a microscope to see why - the variety of particle shapes, not to mention the presence of living organisms, make it a substance with properties virtually unique to its situation which even change with time. For many years most researchers tended to avoid it, preferring to study sand and gravel, but a dedicated few tackled it and found a forum for discussing their work in the first Cohesive Sediments Workshop in Florida in 1980. The workshop met about every three years resulting in publication of some of the most definitive papers on the subject. By 1994 it was time to recognise the extensive research being carried on in Europe by holding the workshop in that region. Intercoh '94 (the 4th Nearshore and Estuarine Cohesive Sediment Transport Conference) drew together about 100 of the world's leading researchers in the field. The resulting papers, presented in this volume, truly represent the definitive state of the art on the measurement and modelling of mud properties today. 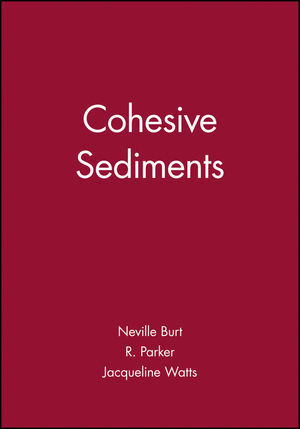 Neville Burt is the author of Cohesive Sediments, published by Wiley. R. Parker is the author of Cohesive Sediments, published by Wiley. One of the Characterisation of Cohesive Sediment for Transport Modelling (W. Parker). The in-situ Determination of the Settling Velocities of Suspended Fine-Grained Sediment--a review (D. Eisma and K. Dyer). The Kolmogorov Microscale as a Limiting Value for the Floc sizes of Suspended Fine-Grained Sediments in Estuaries (W. van Leussen). Temporal Variability in Aggregate Size and Settling Velocity in the Oosterschelde (The Netherlands) (W. ten Brinke). Direct Measurements of Settling Velocities in the Owen Tube: A Comparison with Gravimetric Analysis (M. Dearnaley). Estimation of Settling Flux Spectra in Estuaries Using INSSEV (M. Fennessy, et al.). Consolidation of Cohesive Sediments in Settling Columns (G. Sills). Towards a New Constitutive Equation for Effective Stress in Self-Weight Consolidation (E. Toorman and H. Huysentruyt). Turbidity Maxima Formation in Four Estuaries (A. Arundale, et al.). Interfacial Hydrodynamics and Entertainment Functions of Currently Used Erosion Devices (G. Gust and V. Müller). On the Development of Instruments for in situ Erosion Measurements (J. Cornelisse, et al). Developments in the Combined use of Acoustic Doppler Current Profilers and Profiling Siltmeters for Suspended Solids Monitoring (J. Land, et al.). A Laboratory Study of Cohesive Sediment Transport (M. Crapper and K. Ali). Biological Mediation of Sediment Erodibility: Ecology and Physical Dynamics (D. Paterson). Microbiological Factors Contributing to Erosion Resistance in Natural Cohesive Sediments (K. Black). Erosion of Mixed Cohesive/Non-Cohesive Sediments in Uniform Flow (H. Torfs). Size-Dependent Erosion of Two-Silty-Clay Sediment Mixtures (A. Teeter, et al.). Erosion of Fluid Mud by Entrainment (J. Winterwerp and C. Kranenburg). Critical Shear Stresses for Erosion and Deposition of Fine Suspeded Sediments of the Fraser River (B. Krishnappan and P. Engel). Interpreting Observations of Near-Bed Sediment Concentration and Estimation of 'Pick-up' Function Constants (J. Aldridge and J. Rees). Experiments on Erosion of Mud from the Danish Wadden Sea (C. Johansen, et al). A Review of Rheometric Methods for use with Fine Sediments (T. Jones). On the Liquefaaction and Erosion of Mud due to Waves and Current (P. de Wit and C. Kranenburg). Mud Fluidization by Water Waves (Y. Li and J. Mehta). Erosion and Liquefaction of Natural Mud Under Surface Waves (H. Verbeek and J. Cornelisse). A Review of Cohesive Sediment Transport Models (C. Teisson). Modelling Multiphase Sediment Transport in Estuaries (D. Willis and N. Crookshank). Numerical Modelling of Mud and Sand Mixtures (T. Chesher and M. Ockenden). Mass Fluxes in Fluid-Mud Layers on an Inclined Bed (T. Kusuda, et al.). Fluid and Sediment "Integrated" Modelling Application to Fluid Mud Flows in Estuaries (P. le Hir). Equilibrium Hypsometry of Fine-Grained Shore Profiles (S. Lee and A. Mehta). Simulating Turbulent Vertical Exchange of Mud with a Reynolds Stress Model (J. Galland, et al.). An Intercomparison Exercise of Cohesive Sediment Transport Numerical Models (L. Hamm, et al. ).